The Al Riyadh Traffic Department has recently announced that all the old-fashioned number plates will be considered as expired with an immediate effect. The traffic department has hence strongly urged all car owners to ensure whether their current number plates are considered as valid or not. What is the format of old number plates? 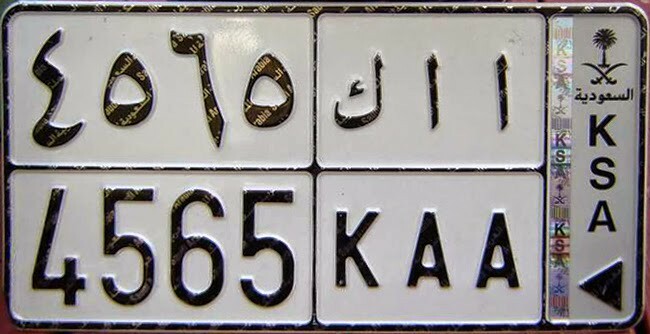 The old number plates which are now being considered as obsolete are the ones which have only Arabic letters and numbers on them. What is the format of new number plates? 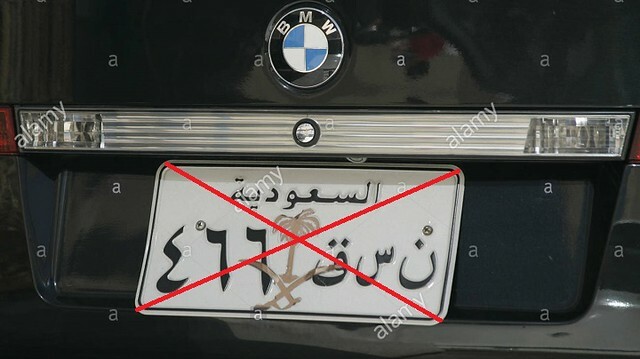 The new number plates which have 3 letters and 4 digits in both Arabic and English will still be considered as valid and any cars with such a number plate do not have to get their number plate updated. Drivers should carefully check their number plates before ending up paying unnecessary fines. Even though this may sound as if you have a big problem, it is nothing to worry about, as getting your number plates updated do not cost much, however, you will not be able to travel in your own car to get it updated. The Commander of the traffic administration in Makkah Colonel Talaat Mansory stated that the Makkah Traffic Department has launched a new campaign which targets those cars still running on old number plates, which have currently been canceled. Commander of traffic administration, Colonel Talaat stated that the owners of the vehicles with old number plates should immediately replace their old number plates with new ones. What is the cost of replacement of the old number plate with a new one? He added that the process is not at all costs as it only cost SAR 100, and additionally it does not require any paperwork to be filled out, hence not taking up too much of your time either. Colonel Talaat added that in the case of renewal of the number plate all the prerequisites of the process must be completed. These prerequisites are vehicle inspection, insurance and completely paying off all previous traffic tickets which may have been issued on that number plate. Cars without computerized or up to date number plates have been often used in terrorist or criminal activities hence it is crucial to keep them up to date.